There is an up-and-coming way to construct hotels which are continuing to be utilized more frequently. 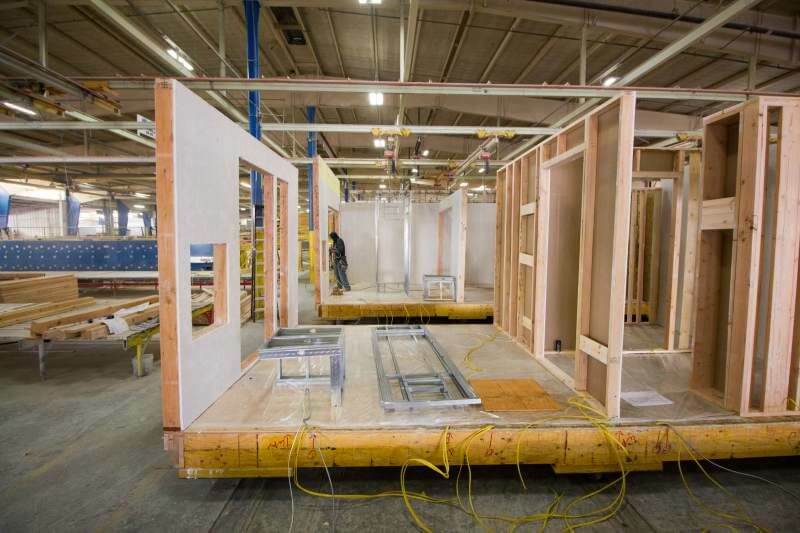 Modular construction is gaining steam in the US and we will only see more businesses opt for this type of construction rather than traditional methods in the future. What makes every project unique is each has its very own customizable design, which is available to you when you choose to build using modular construction. Here are the best modular hotel construction projects in the United States from 2018. With the help of AVANA Capital’s $70 million construction loan, Mogul Capital was able to develop a dual-branded Marriott Courtyard and TownePlace Suites in the bustling city of Hawthorne, California. The project brought together the on-site construction expertise of Lusardi Construction Company and the modular construction expertise of Guerdon Modular Buildings. Since Guerdon has its own construction facility in Boise, Idaho, they were able to piece together fully furnished guestrooms that were constructed off-site under controlled plant conditions. What made this project so attractive to the developers is that when using modular construction, the time that it takes to build the entire hotel was reduced by approximately six months. Another huge plus is that when buildings are constructed using modular designs they have significantly higher STC ratings and reduced noise transmissions from room to room, which allows for positive guest experiences. 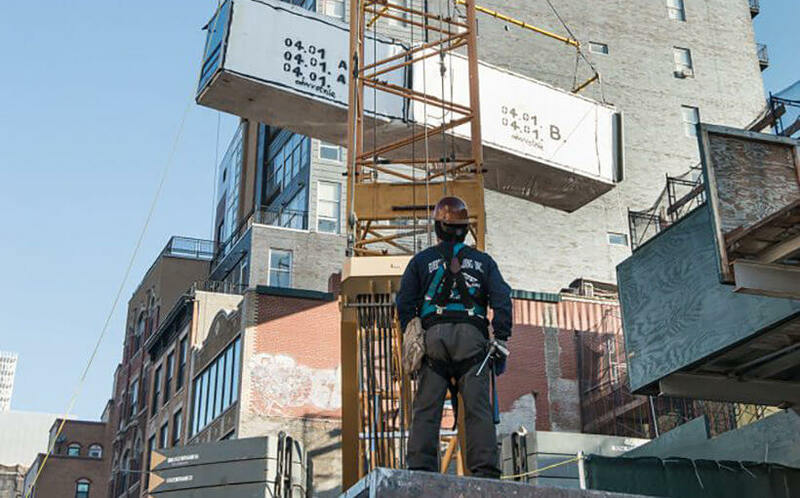 In September 2018, modular construction technology was elevated to new heights with the tallest modular hotel in the United States being the 21-story citizenM New York Bowery located in downtown Manhattan. This is only the second hotel in New York and the United States offered by citizenM, the boutique hotel company founded in Amsterdam. Their prefabricated construction system was used for the first time in the United States with this project. Each guest room that is prefabricated is designed and built in a factory north of Gdansk, Poland and then shipped by sea in containers to the port of New York. When you enter the room you will notice that the rooms are made up of steel with concrete floors covered with wood laminate. All the furniture that you see in the room except for the chair frames, bench and decorative visual art was attached before the modules were placed on the shipping container in Poland. This allows for easy installation and easy troubleshooting due to ease of access to the rooms in the controlled plant conditions. This great new design and construction allow the hotel to offer affordable prices and more livable space than a traditional hotel. Located in Santa Rosa, California’s Railroad Square a new AC Hotel, one of Marriott International’s new upscale lifestyle brands, has emerged. Crews started laying the foundation for the lobby while Guerdon Modular was beginning the construction of the modules in Boise, Idaho simultaneously. Due to the wildfires that devastated Santa Rosa in 2017, the town has turned to modular construction as a solution to rebuild efficiently and quickly. The 142 rooms will be accompanied by an on-site built ground floor with retail space and an upscale restaurant. The 86 modules that make up the 142 rooms will all be constructed in Boise and then transported to Railroad Square in Santa Rosa. One of the highest and most remote sites in Yellowstone National Park gets an upgrade with five multi-story lodges built using modular construction technology. Once again Guerdon Modular Buildings stepped in to tackle the largest sustainable lodging project in the Nation Park Service. In their factory in Boise, Guerdon was able to construct the lodges using prefabricated system technology. This technology was used to create the walls, ceilings, and floors of each module. Before all projects begin Guerdon builds a prototype, which enables all trades to view their scopes. When the modules are ready to transport they are completely finished with paint, carpet, tile, lighting, and fixtures. What makes this project unique is that Guerdon used recycled wood for the fixtures and recycled glass and fly ash for the countertops. Modular construction was perfect for a project like this because the winters in the park are absolutely brutal causing work to halt. Developed by Southern Hospitality Services and constructed by Akshar Development Inc, Home2 Suites by Hilton, created the first modular built hotel in the Bay Area and the first Home2 Suites by Hilton modular build. Unmatched efficiency and faster construction times isWhat attracted Home2 Suites to build using modular technologies was the . Home2 Suites will offer all-suite accommodations so guests can customize their suite to their style and preference. Each suite will come fully equipped with kitchens and modular furniture to make this possible. In order to reduce the hotel’s carbon footprint, there will also be solar panels that will produce up to 50% of the hotel’s energy and a bio-retention pond to filter water runoff. This new AC Hotel NuLu in Lousiville is based on Marriott International’s European hotel model that emphasizes furnishings in a minimalist, uncluttered affordable space. The hotel will be comprised of 156 guest rooms that will be built to stand four stories tall. Each guest room will contain one or two fully furnished hotel rooms and a hallway corridor. Inside the room, you can expect to see a bed, sofa, desk, large bench and a full bath with a stand-up shower. All of these amenities will be constructed at two large controlled modular construction plants in Pennsylvania. Additionally, each unit’s plumbing, electrical, and technology equipment are put into place but are not hooked up until after the modules are stacked. 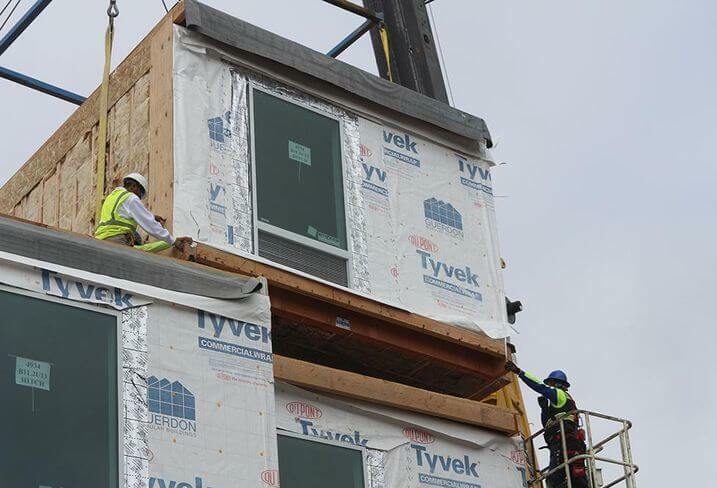 Similarly, AC Hotels went with modular construction to save time and create a hotel that is more efficient than a hotel that used traditional construction methods. 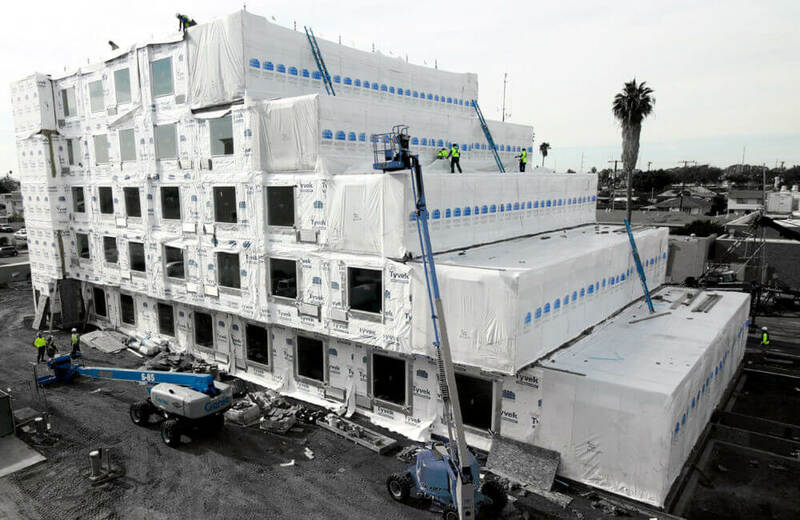 Due to the growing number of benefits, the future of modular hotel construction projects is very promising. With technological advances in the manufacturing process, projects can be completed in a shorter amount of time than the traditional construction process (sometimes 6 months or quicker). Elevate your hotel project today and enjoy cost savings, shorter timelines, quality control, customizable design options, and many more perks when you choose modular construction. 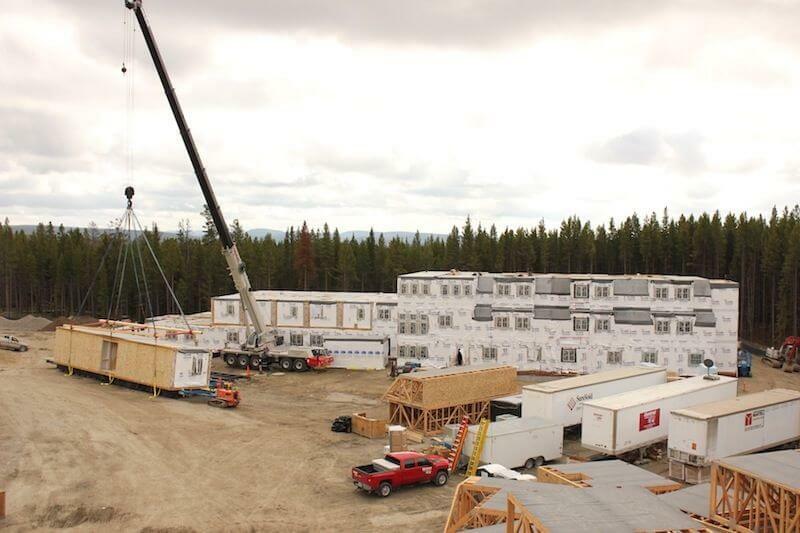 For more information about the benefits of modular hotel construction projects please contact AVANA Capital to find if this is the right concept for you. Help is just a phone call away or you can fill out an appointment request at AVANA Capital and one of our experts will be in touch with you.